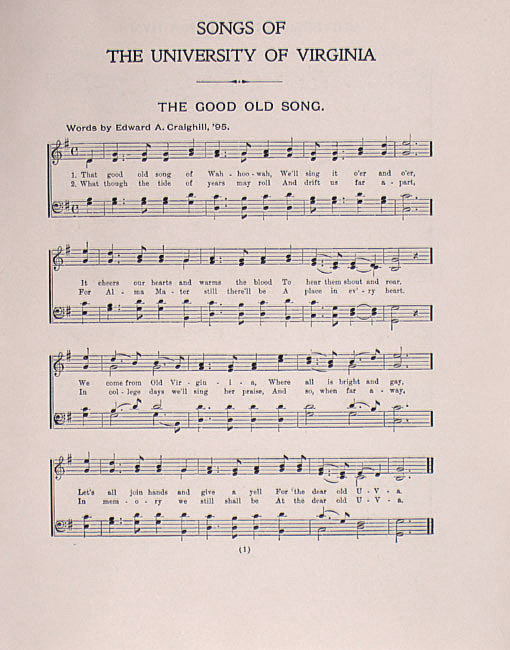 "The Good Old Song" from Songs of the University of Virginia. New York City: Hinds, Nobel and Eldridge, 1906. Commemorative silver spoon, no date. Gift of Evelyn Moore.